Obituary for Shirley Margaret MacIntosh | W. J. Dooley Funeral Service Ltd. It is with sadness that the family of Shirley MacIntosh announce her passing away on Wednesday, August 15, 2018. Born and raised in Glace Bay NS, she was the daughter of John F. (Jack Spud) and Jeannette (Hadfield) MacDonald. 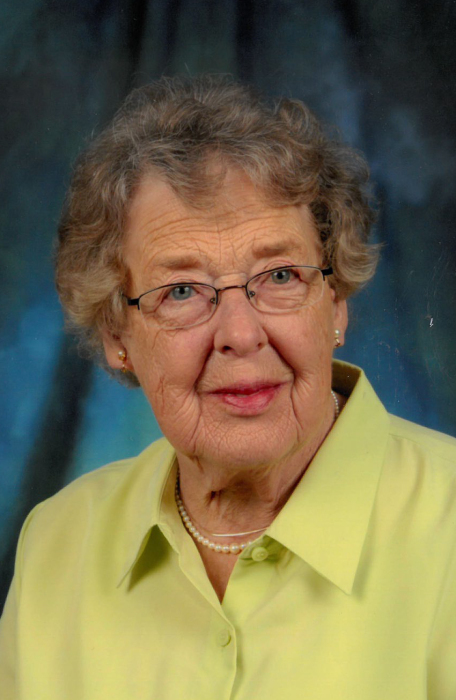 After completing Grade 12 at Glace Bay High School she moved to Montreal where she trained as a Registered Nurse at the Royal Victoria Hospital and graduated in 1948. She returned to Nova Scotia where she worked primarily for the Red Cross on the mobile blood collection service that travelled throughout the Province. It was during this time that she met a handsome young dentist named Ed MacIntosh and they married in Halifax in 1953, living first in Liverpool, NS and then in North Sydney where Ed practiced dentistry for 36 years. Mom enjoyed her life and loved her family deeply. Her main hobby was the making of friends and acquaintances. If she entered a room and didn’t know someone in it she made it a point to go over immediately and introduce herself and make a connection. Once she knew you she never forgot you and would be sure to speak to you as a friend thereafter. Her memory for faces, names and connections between people was phenomenal. She truly liked people and they responded to her similarly. To the end of her life she stayed in contact with friends she made in Glace Bay and everywhere else she had been. She knew that to have a friend, you have to be a friend. Among all those people two in particular stand out – Bessie Fowler and Lois Meloney. Lois was the first friend Mom made when she arrived in North Sydney and they spoke on the phone every day afterwards. The three of them saw each other almost as often. The telephone was an invention that might have been devised expressly for Mom. She discovered it in the 1930s while growing up and was still using her cell phone daily to keep in contact until her death. Among her organizational memberships were the Kinette Club of North Sydney, The Red Cross Society, The Heart and Stroke Foundation and, most especially, the St. Matthew Wesley United Church Women of which she was a life member. She was the last member of her immediate family having been predeceased by her parents, her sister Jean (Mrs. Doug Hemeon), and her two brothers, Rev. Stuart MacDonald (Ethel) and Jackie who died as a young child. After 52 years of marriage her beloved Ed passed away in 2005 and she felt the pain of that parting constantly thereafter. Left to mourn are her loving family – daughter Jan (Chris Palmer) in Bedford NS, sons Ian (Kathy) in Sydney and Peter (Jennifer) in Bedford, her beautiful grandchildren - Adrienne (Jonathan Collins), Jack MacIntosh, Laura (Matthew Theoret), Ellen Palmer (Matthew Gleddie), Mary MacIntosh (Devin Burger), Kathleen Palmer and Hope MacIntosh as well as her two great-granddaughters, Evelyn and Amelia Collins. Especially close to her heart were her cousin Donald (Anne-Marie) Steele, her sister-in-law Mary Russo, Dad’s large extended family and her and Dad’s many nieces and nephews who she delighted in hearing about and being in contact. Mention must also be made of her UCW friends at St. Matthew Wesley Church. The family would like to thank the kind and caring staff of Melville Lodge in Halifax where Mom resided for the past three years and also thank Dr. Paul Hickey for his care and attention, first with Dad and then with Mom. Visitation for Shirley will be held 2-4 and 7-9 p.m. Tuesday, August 21st, in the W.J. Dooley Funeral Home, 107 Pleasant Street, North Sydney. A funeral service will be held 2 p.m. Wednesday, August 22nd , at St. Matthew Wesley United Church, North Sydney with Rev. Stephen Mills officiating. Burial will follow at Lakeside Cemetery, North Sydney. Memorial donations may be made to the Cape Breton Regional Library or the Canadian Red Cross Society. Online condolences may be sent to the family at www.wjdooley.com . And wait for the rest of you there.